This article is about the actor. For people with similar names, see Ronald Coleman. Ronald Charles Colman (9 February 1891 – 19 May 1958) was an English actor, popular during the 1930s and 1940s. He won an Academy Award for Best Actor for A Double Life (1947) and received nominations for Random Harvest (1942) and Bulldog Drummond and Condemned (1929, nominated for his work in both). Colman starred in several classic films, including A Tale of Two Cities (1935), Lost Horizon (1937) and The Prisoner of Zenda (1937). Colman has two stars on the Hollywood Walk of Fame for his contributions to motion pictures and television making him one of less than a hundred male actors in Hollywood history to receive both an Academy Award and induction into the Walk of Fame. He was born in Richmond, Surrey, England, as Ronald Charles Colman, the second son and fourth child of Charles Colman and his wife Marjory Read Fraser. His siblings included Eric, Edith and Marjorie. He was educated at boarding school in Littlehampton, where he discovered that he enjoyed acting, despite his shyness. He intended to study engineering at Cambridge, but his father's sudden death from pneumonia in 1907 made it financially impossible. He became a well-known amateur actor and was a member of the West Middlesex Dramatic Society in 1908–09. He made his first appearance on the professional stage in 1914. While working as a clerk at the British Steamship Company in the City of London, he joined the London Scottish Regiment in 1909 as a Territorial Army soldier, and on being mobilised on the outbreak of the First World War, crossed the English Channel to France in September 1914 to take part in the fighting on the Western Front. On 31 October 1914, at the Battle of Messines, Colman was seriously wounded by shrapnel in his ankle, which gave him a limp that he would attempt to hide throughout the rest of his acting career. As a consequence, he was invalided out of the British Army in 1915. His fellow Hollywood actors Claude Rains, Herbert Marshall, Cedric Hardwicke and Basil Rathbone all saw service with the London Scottish in the war. Ronald Colman had sufficiently recovered from wartime injuries to appear at the London Coliseum on 19 June 1916, as Rahmat Sheikh in The Maharani of Arakan, with Lena Ashwell; at the Playhouse in December that year as Stephen Weatherbee in the Charles Goddard/Paul Dickey play The Misleading Lady; at the Court Theatre in March 1917 as Webber in Partnership. At the same theatre the following year he appeared in Eugène Brieux's Damaged Goods. At the Ambassadors Theatre in February 1918 he played George Lubin in The Little Brother. During 1918, he toured as David Goldsmith in The Bubble. In 1920, Colman went to America and toured with Robert Warwick in The Dauntless Three, and subsequently toured with Fay Bainter in East is West. At the Booth Theatre in New York in January 1921 he played the Temple Priest in William Archer's play The Green Goddess. With George Arliss at the 39th Street Theatre in August 1921 he appeared as Charles in The Nightcap. In September 1922 he had great success as Alain Sergyll at the Empire Theatre (New York City) in La Tendresse. Ronald Colman had first appeared in films in Britain in 1917 and 1919 for director Cecil Hepworth, and subsequently with the old Broadwest Film Company in Snow in the Desert. While appearing on stage in New York in La Tendresse, Director Henry King saw him, and engaged him as the leading man in the 1923 film, The White Sister, opposite Lillian Gish, and he was an immediate success. Thereafter Colman virtually abandoned the stage for film. He became a very popular silent film star in both romantic and adventure films, among them The Dark Angel (1925), Stella Dallas (1926), Beau Geste (1927) and The Winning of Barbara Worth (1926). His dark hair and eyes and his athletic and riding ability (he did most of his own stunts until late in his career) led reviewers to describe him as a "Valentino type". He was often cast in similar, exotic roles. Towards the end of the silent era, Colman was teamed with Hungarian actress Vilma Bánky under Samuel Goldwyn and the two were a popular film team rivalling Greta Garbo and John Gilbert. Although he was a huge success in silent films, he was unable to capitalise on one of his chief assets until the advent of the talking picture, "his beautifully modulated and cultured voice." also described as "a bewitching, finely-modulated, resonant voice." Colman was often viewed as a suave English gentleman, whose voice embodied chivalry and mirrored the image of a "Stereotypical English gentleman." Commenting on Colman's appeal, English film critic David Shipman stated that Colman was "'the dream lover - calm, dignified, trustworthy. Although he was a lithe figure in adventure stories, his glamour - which was genuine - came from his respectability; he was an aristocratic figure without being aloof.'" His first major talkie success was in 1930, when he was nominated for the Academy Award for Best Actor for two roles – Condemned and Bulldog Drummond. He thereafter appeared in a number of notable films: Raffles in 1930, The Masquerader in 1933, Clive of India and A Tale of Two Cities in 1935, Under Two Flags, The Prisoner of Zenda and Lost Horizon in 1937, If I Were King in 1938 and Random Harvest and The Talk of the Town in 1942. He won the Best Actor Oscar in 1948 for A Double Life. At the time of his death, Colman was contracted by Metro-Goldwyn-Mayer for the lead role in Village of the Damned. However, Colman died and the film became a British production starring George Sanders, who had married Colman's widow, Benita Hume. Ronald Colman has been mentioned in many novels, but he is specifically mentioned in Ralph Ellison's Invisible Man because of his charming, well-known voice. The main character of this novel says that he wishes he could have a voice like Ronald Colman's because it is charming and he relates the voice to a voice of a gentleman or a man from Esquire magazine. Ronald Colman was indeed very well known for his voice. Encyclopædia Britannica says that Colman had a "resonant, mellifluous speaking voice with a unique, pleasing timbre". Along with his charming voice, Colman had a very confident performing manner that helped make him a major star of sound films. Beginning in 1945, Colman made many guest appearances on The Jack Benny Program on radio, alongside his second wife, stage and screen actress Benita Hume. Their comedy work as Benny's perpetually exasperated next-door neighbours led to their own radio comedy The Halls of Ivy from 1950 to 1952, created by Fibber McGee & Molly mastermind Don Quinn, on which the Colmans played the literate, charming president of a middle American college and his former-actress wife. Listeners were surprised to discover that the episode of 24 January 1951, "The Goya Bequest"—a story examining the bequest of a Goya painting that was suspected of being a fraud hyped by its late owner to avoid paying customs duties when bringing it to the United States—was written by Colman himself, who poked fun at his accomplishment while taking a rare turn giving the evening's credits at the show's conclusion. The Halls of Ivy ran on NBC radio from 1950 to 1952, then moved to CBS television for the 1954-55 season. Colman was also the host and occasional star of Favorite Story, which ran on NBC from 13 September 1947 to 1949. Of note was his narration and portrayal of Scrooge in a 1948 production of "A Christmas Carol". 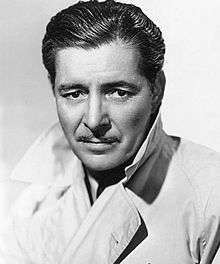 Ronald Colman died on 19 May 1958, aged 67, from acute emphysema in Santa Barbara, California, and was interred in the Santa Barbara Cemetery. He had a daughter, Juliet Benita Colman (born 1944), by his second wife Benita Hume. Colman was nominated three times for the Academy Award for Best Actor. At the 3rd Academy Awards ceremony he received a single nomination for his work in two films; Bulldog Drummond (1929) and Condemned (1929). He was nominated again for Random Harvest (1942), before winning for A Double Life (1947), where he played the role of Anthony John, an actor playing Othello who comes to identify with the character. He also won the Golden Globe award for Best Actor in 1947 for his role in A Double Life. In 2002, Colman's Oscar statuette was sold at auction by Christie's for US$174,500. Colman is a recipient of the George Eastman Award, given by George Eastman House for distinguished contribution to the art of film. Colman has two stars on the Hollywood Walk of Fame in Los Angeles, one for motion pictures at 6801 Hollywood Blvd. and one for television at 1623 Vine Street. 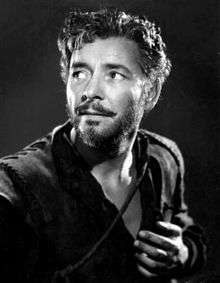 He is the subject of a biography written by his daughter Juliet Benita Colman in 1975, "Ronald Colman: A Very Private Person". ↑ Obituary Variety, 21 May 1958. 1 2 "Oxford Dictionary of National Biography". 1 2 "Famous London Scottish". The London Scottish Regimental Trust. ↑ "Medal card of Colman, Ronald C, Soldier Number: 2148, Rank: Private, Corps: 14th London Regiment". The National Archives. Retrieved 20 January 2016. ↑ Morley, Sheridan. (1983.) Tales from the Hollywood Raj: The British, the Movies and Tinseltown. The Viking Press, p. 66. ↑ Quirk, Lawrence J., The Films of Ronald Colman, Secaucus, New Jersey, 1977. ↑ Zito, Stephen F., American Film Institute and the Library of Congress, Cinema Club 9 Program Notes, April, 1973 Post Newsweek Stations, Washington, D.C.
↑ Ralph Ellison (1952). The Invisible Man. Random House. ↑ William K. Everson (1978). American Silent Film. Oxford University Press. ↑ Becker, Christine (October 1, 2005). "Televising Film Stardom in the 1950s". Framework. Retrieved 21 January 2015 – via HighBeam Research. (subscription required (help)). ↑ "Cremation for Ronald Colman" (AP). Kentucky New Era. 19 May 1958. p. 11. ↑ "'Horizon' Star". Harrisburg Telegraph. November 23, 1946. p. 19. Retrieved September 13, 2015 – via Newspapers.com. ↑ "Those Were The Days". Nostalgia Digest. 41 (3): 32–39. Summer 2015. ↑ Kirby, Walter (December 21, 1952). "Better Radio Programs for the Week". The Decatur Daily Review. p. 44. Retrieved 8 June 2015 – via Newspapers.com. ↑ Kirby, Walter (May 31, 1953). "Better Radio Programs for the Week". The Decatur Daily Review. p. 40. Retrieved 30 June 2015 – via Newspapers.com. Parker, John, editor, Who's Who in the Theatre, 10th edition revised, London, 1947, p. 437. Wikimedia Commons has media related to Ronald Colman.